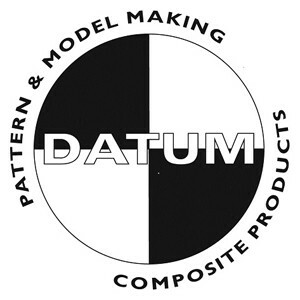 Datum began trading in April 1997 and has its roots in Pattern & Tool making, which still forms a major part of current business activities. As an expansion to this scope Datum began to supply production glass fibre products soon after. We now specialise is the supply of GRP & GRP phenolic parts for Rail vehicles. Anything from a simple litter bin, to a full Cab Front assembly, from a PIS display cover, to a full PRM compliant toilet module, Datum can supply. Parts are manufactured by hand-lay, Closed mould, RTM, In-fusion, Pre-preg and Vac Forming. From a one off to a thousand off, Datum can deliver. We are a proven supplier of all GRP / GRPh interior or exterior items and are a first tier supplier into some of the biggest names in Rail Vehicle Manufacture. We offer full consultation at the early design stages to ensure manufacturability, best practice and reduced costs are achieved by our customers. From an initial concept to a production reality, Datum offer the full turnkey solution with `in-house` CAD / CAM facilities to compliment our production capabilities. Not only do we supply new products we are happy to look and refurbishment or modification projects required. The Company is ISO 9000:2008 approved and GMRT 2450 (safety critical) approved ensuring a high quality end result is achieved. Please contact David Taylor, Director on 07973 621086 to discuss any requirements or visit www.datum-patterns.co.uk for a full overview of our services.